Accerion – Preview of Accerion’s Triton! Our newest Triton system, a product which brings high-accuracy positioning in a small package! The Triton is our latest innovation and was for the first time presented to the public in February, at the LogiMAT 2019. With the supply chain set-up getting ready for high volume production, it is time for a preview. Like all Accerion products, Triton offers our surface scanning technology for fast and accurate robot navigation. Our latest addition to the product portfolio is the smallest and lightest system until now, which makes it also suitable for smaller AGVs and lighter industrial vehicles. Different from our flagship Jupiter, the Triton is equipped with one optical detector and can operate to a higher maximum velocity. 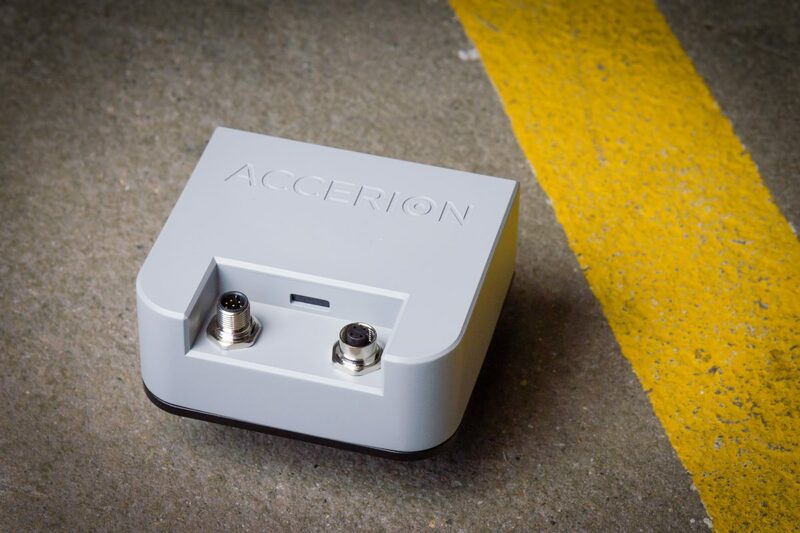 In addition, Accerion´s newest system offers sub-mm accuracy for positioning without infrastructure. It can be easily integrated into existing navigation stacks and replaces inflexible infrastructure. Due to its optimized design it is suitable for high volume implementation. We are currently starting proof-of-concept projects with a limited number of customers and will start more soon. If you have become curious and want to know more about the Triton system and the possibilities it offers, please contact us via sales@accerion.tech. Accerion at the ICC in Germany!